By finding quiet time, you can also quiet your mind, to help you refresh and return to work feeling ready. If you work for a living, your life is most likely filled with noise. From the time your alarm goes off in the morning to the time you go to bed at night, there is very little silence. Yet too much noise has been linked to dangerous health conditions like high blood pressure and heart disease. Persistent background noises like cars, ringing phones and chatty coworkers not only disrupt a professional’s productivity, but they can lead to undue stress over time. Silence is too rare these days. The go-to solution seems to be to cover the ears with a pair of headphones and shut it out with more noise. Not even white noise can provide the restorative value of an extended period of pure silence. But with getting away from noise so difficult, professionals have to deliberately seek out silent time at some point every day. Some professionals find that moment of silence in meditation. Whether through a yoga class or a dedicated period of sitting still and breathing, these workers have realized the improved emotional well-being that can come from calming their minds. Once they learn the basic principles, they can even take moments throughout the day to meditate, whether in their offices or in a quiet space somewhere in the building. But when a professional works as part of a team, it can be frustrating to see stress impacting all of the other team members who are not yet aware of the power of silence. In recent years, businesses have begun shifting to a different kind of retreat in place of their normal team-building getaways. A silent retreat can do far more than teach team members to better work together. They can serve as a respite for the mind, with everyone returning to the office ready to work. Several years ago, vacationers began turning to silent retreats as a way to truly get away from their chaotic lives. With spiritual centers and spas around the world promising days of quiet relaxation and meditation to their guests, travelers can easily find a nearby location for their own personal retreats. However, businesses have only recently begun trying out silent retreats for their staff members. This article lists 10 silent retreat centers in the US, along with the amenities they include. Your employer could choose a location that offers meditation classes to help participants learn how to relax and quiet their minds. You can take these lessons back to the office and learn to better cope with daily stressors. Related: Stress literally shrinks your brain. here are 7 ways to reverse this effect. A silent retreat does not have to be an all-or-nothing proposition. You may find that simply incorporating a period of meditation into any team-building get-together could be just enough to improve your morale and reduce stress levels. Ask your boss to invite meditation specialists to help you and other employees find that restful silence they need each day. While many of your fellow employees will likely choose not to use these principles later on, there will be some who learn from it and benefit from it. If your employer is looking for a retreat at a remote location, ask them to consider one that allows separate space for meetings when your team wants to get together and work. Some silent retreat options, like Green Gulch in San Francisco, include a conference and retreat center that holds up to 30 people and features scenic views. If you go to a silent retreat center with a conference center option, your company will be able to schedule each day to include both time for silent reflection and productive brainstorming and motivational sessions. One of the best ways to deal with the everyday stresses is through simple silence. By finding quiet time, you can also quiet your mind, which will help you refresh and return to work feeling ready to tackle new challenges. 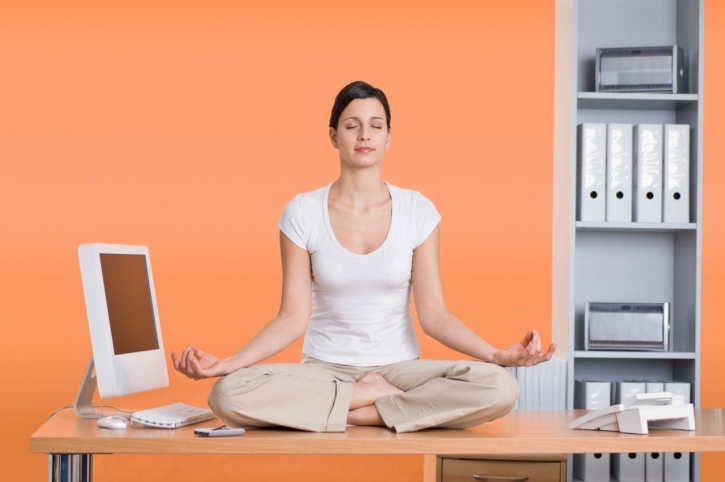 With a silent retreat, your employer can teach their teams how to utilize quiet time to improve their own well-being.